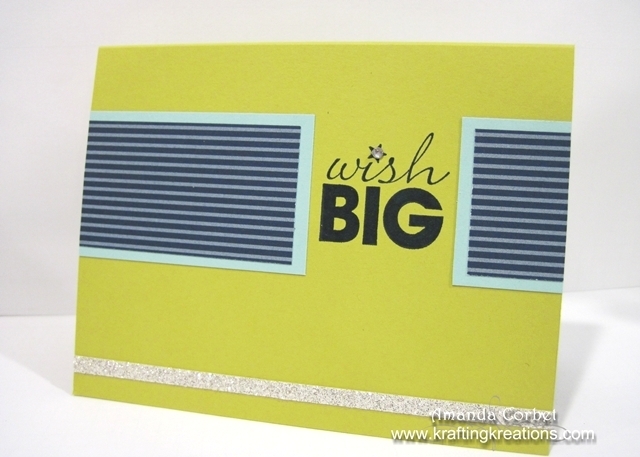 Today I’m going to share with you the second card that I made with the SCCSC131 sketch challenge. If you missed the first card take a look HERE. This was another fast and easy card to put together. I started off with a piece of Summer Starfruit card stock that was cut 5-1/2” x 8-1/2” and scored at 4-1/4”. For this one I cut a piece of Pool Party card stock 1-3/4” x 3-1/8” and one piece 1-3/4” x 1-1/8”. Then I cut a piece of Midnight Muse DSP 1-3/4” x 3” and a piece 1-3/4” x 1”. I adhered the Midnight muse DSP onto the Pool Party card stock, then adhered these panels onto the card front. 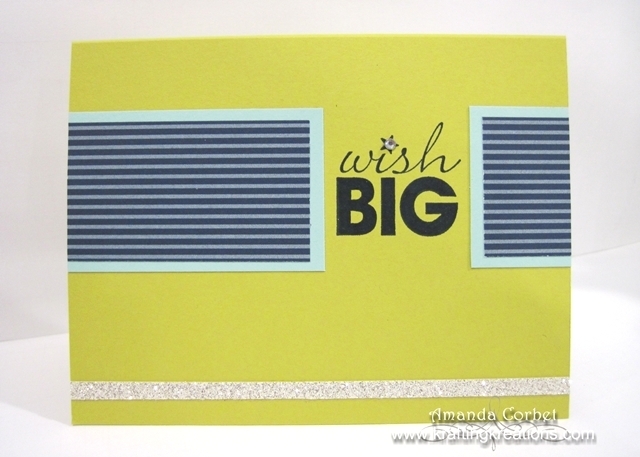 I stamped the greeting from Word Play onto the card front between the strips in Midnight Muse ink. Then I took a scrap strip of Silver Glimmer Paper (I never throw any of this stuff away) that was probably 1/4” wide and adhered it onto the card front. Then just to bring some glimmer up to the greeting I added a small Rhinestone into the center of the star on the greeting. I think this is such a fun card, and great for a guy too! What do you think?